Make your own 2 oz candle. Make a candle using our colored granular wax, use different colors to make it unique. Take it home and enjoy! 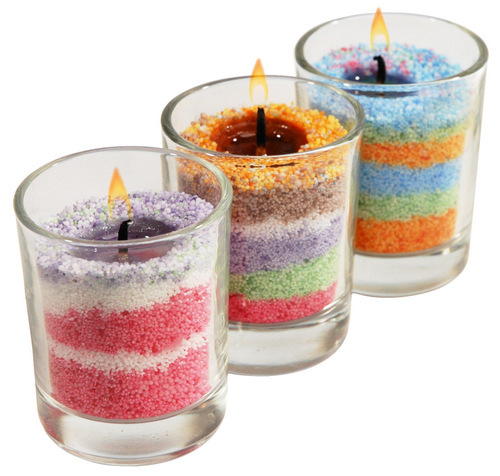 Make a candle using our colored granular wax, use different colors to make it unique. Candle art is comparable to the concept of sand art but with our wax crystals the end result is a colorful, scented long burning candle. You get to make your very own original work of granulated wax candle art. Projects are ready to take home within minutes! Candles are always make nice favors for a Bar/Bat Mitzvah, college or corporate event. Our candle art comes fully staffed so this novelty art project adds no additional stress. The perfect keepsake!